B+ This book, written by a journalist and former editor of Fortune magazine and editorial director of Harvard Business Publishing, tracks the growth and philosophical evolution of strategy. It focuses on three strategy firms in particular: Boston Consulting Group ("BCG"), Bain & Company, and McKinsey & Company. 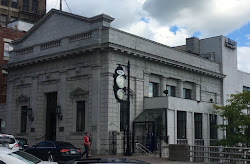 In its entirety, I would suggest that it would be a very beneficial read for banking industry consultants, and a beneficial read for executives at community FIs. How business is done is often, if not mostly, evolutionary. Understanding how we moved from the days when small businesses in small towns dominated the landscape, to how merchants operated in our large pre-industrial revolution cities, the emergence of large industrial firms, the birth of the corporate man, to where we are today is important to understanding today's business climate. Management "fads" came and went. These fads were often touted by strategy firms and their army of elite business school educated consultants. This book tracks the evolution of strategy from its early days in the 1960's at BCG to where we are today. Strategy's emergence, and its evolution, being driven by what the author terms the "fiercing of capitalism", i.e. the escalation of competition beyond a few firms and the shortening of competitive advantage driven by technology. This created fertile ground for strategy's ascendancy and the firms that touted its virtues. Understanding the genesis of strategy and its evolution is an important step in its development and implementation at community FIs and is the basis for my recommendation for the book. From my perspective, it was interesting to note how strategy became in vogue and how our pre-eminent strategy firms differed in their approach. Creating teams to ponder in a conference room, ruminating how strategy should be formulated and executed is foreign to relatively small consulting firms like mine. We don't develop techniques in our firm's interior. Instead, we develop it across the table from clients, while on the phone with colleagues, or at conferences listening to experts and gauging bankers' opinions. My world is foreign to BCG's, but it was instructive for me to learn of their methods. Knowing how they do it can only help me do it better. I think it can help you too. 3. Described strategy through each stage of its evolution, and used interviews with key players in the evolution. 1. Focused only on three strategy firms and Harvard Business School. Did other B-schools or consulting firms participate in a material way? 2. The author gave me several vocabulary lessons, such as when he said an author "continued to sound the tocsin" (sound the alarm). Fortunately, I read it on a Kindle and could highlight and get definitions for the difficult words. This is probably a pet peeve of mine, and I should be more thankful that I can now use "tocsin" in a sentence. 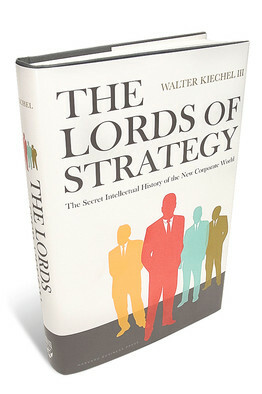 But the book is very well put together and thorough in its review of how strategy came to be. I found it a very worthwhile read and recommend it to you.